Poetry is a mode of expression with few equals. Good poetry, with its powerful imagery and the judicious use of rhyme, simile, metaphor and appropriate words, can greatly influence the reader and leave behind a powerful impression. With this aim in mind, H.R. Singh and Neeraj Kumar have written “Indian Wildlife Through Poems”, a collection of 52 poems targeted mainly at children which seeks to convey the wildlife conservation message. The 63-page long book’s cover contains an image of that iconic representative of global wildlife, the lion. The book itself, however, begins with an eulogy to the humble bumble bee. The authors describe it as an “endearing and familiar creature” which is “loved all through”. In an effort to further enhance the poem concludes with an appeal to “help all children enjoy humming bees”. The authors’ love for the small and hitherto-overlooked species reverberates throughout the book. Some of the most memorable poems are those on the Ladybird Beetle, the Praying Mantis, the Ant and the Common Indian Toad. That these creatures are as interesting as megafauna is aptly summed up by the lines “I still wonder how this Ingenious insect was designed/for they are the tiniest/with most fertile mind”. In order to further stimulate interest in these lesser-regarded species, the authors describe their characteristics in great detail. These include both their biological properties, as well as their reputation among the people. For instance, many children would not know that the loud house crickets are completely harmless, whereas mole crickets are great destroyers of crop. In the later pages, the kraits and pit vipers initially take pride of place. As can be expected, their poisonous nature receives fullest attention. Readers will probably heave a sigh upon reaching the section which deals with birds. Here, the colorful GIB (Great Indian Bustard), Great Indian Hornbill and the Indian Monal are introduced first . Their mating and nesting habits, as well as their popular perception in Indian culture are beautifully described. These are followed by a number of more familiar bird species, such as the crow, pigeon, owl, Indian roller(neelkanth) and our national bird, the peacock, are described afterwards. 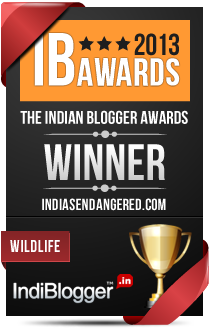 And finally, we come to those species without which no work on Indian wildlife is complete. By this, we mean the big cats, the elephant, the rhino and the other mascots of wildlife, of course!!! The poems eulogizing these species are all distinctive in their own way. The tiger’s majesty and the threats which it faces from the poachers are highlighted. In the case of the elephant, its revered status in Indian culture as “Ganesha” receives apt attention. In most poems, the role of various species in Indian wildlife is emphasized on. The conservation potential of cultural norms has largely been ignored so far, and one hopes that Indian Wildlife through Poems brings about decisive change in this regard. A few minor features might prevent this book from fully realizing its potential, however. The occasional factual error stands out-for instance, the authors mistakenly claim that the GIB’s population in Rajasthan’s Desert National Park is increasing. As of 2016, <150 of these magnificent bustards continue to survive in a few scattered populations in Rajasthan, Gujarat and Maharashtra, and this figure is decreasing daily.Also, the Gir Lion is stated to be a predator of the barasingha, even though the two species aren’t found in the same habitat. Another jarring feature of this work is the quality of verse of some of the poems. The authors have emphasized on rhyme, often at the cost of coherence and flow of thought. This is evident in the poem on the Himalayan Monal, a part of which reads as follows: “With colors so bright/Purple, red, green, blue and yellow/Alpine forests truly love this fellow”. The sudden shift in topic from the bird’s colour to its habitat is unlikely to appeal to many. This is seen to be a recurring phenomenon, and might thus cause readers to lose interest quickly. Wildlife literature in India is desperately in need of epoch-making works which succeed in inspiring entire generations of future conservationists. Indian Wildlife Through Poems might just be such a work. Its commendable emphasis on highlighting facts about the most neglected of species should serve as an ideal worthy of emulation. 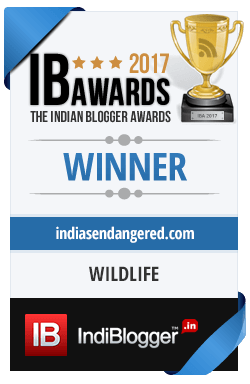 Its few negatives simply cannot overshadow the childlike enthusiasm of its authors towards Indian wildlife and its preservation.